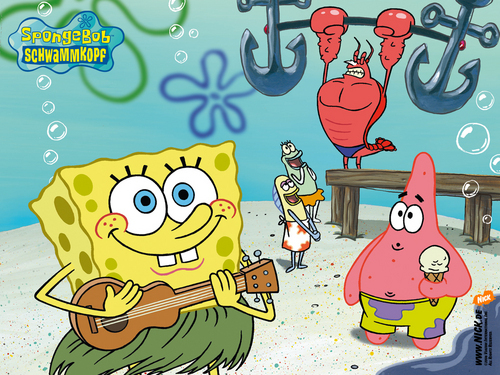 This SpongeBob wallpaper contains anime, fumetti, manga, and cartoni animati. Patrick stella, star from the Episode "Planet of the Jellyfish"
Im ready to party, are te ready to party? spongebob's last name is spelled differntly. why does it say spongebob schwamkopf? he is totaly a freaken GIRL! He is not a girl. Stop with the negative comments.